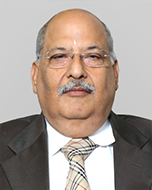 Manoj Singhal is an Independent & Non-Executive Director of Vikas Ecotech Limited. He started his career in the packaging industry. With a penchant for innovation and new challenges, he ventured into the high technology industry of manufacturing precision metallic coil springs at Gurgaon in 1991. He holds a Bachelor’s degree in Commerce from Punjab University.